1. What Does Rhinoplasty Entail? 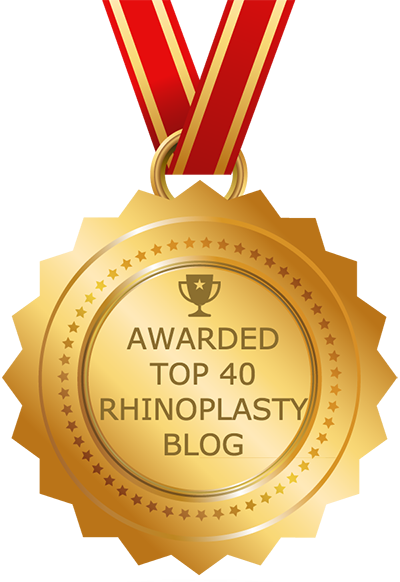 4. Who Is Qualified To Perform Rhinoplasty? 5. How Do I Prepare For The Procedure? 6. What Are The Potential Complications? 7. What Is Recovery From Rhinoplasty Like? 8. How Young Is Too Young For Rhinoplasty Surgery? 9. Can I exercise before and after rhinoplasty? 10. What type of skin care can I used before and after rhinoplasty? 11. Can I wear makeup while recovering from rhinoplasty? 12. How should I sleep while recovering from rhinoplasty? 13. How long will my swelling last after the rhinoplasty procedure? Rhinoplasty is an outpatient procedure that is typically performed under general anesthesia. During rhinoplasty, the surgeon makes tiny incisions to access the internal structures of the nose, which are shaved, augmented or otherwise altered, as needed. Once the nasal structures have been altered, the incisions are closed and the procedure is complete. Candidates for rhinoplasty are in good physical and psychological health, do not smoke, and meet the minimum age requirement (15 for girls, 17 for boys). Those considering rhinoplasty also must have realistic expectations; good candidates seek to attain an improvement in their appearance, not perfection. Finally, a good candidate is willing to accept the potential risks associated with the procedure, as well as the postoperative responsibilities that come with rhinoplasty. Rhinoplasty can range widely in cost depending on a variety of factors, including: the surgeon’s geographic location, which incision approach is used, the complexity of the procedure, whether or not grafts are used, and whether it is a primary or secondary procedure. Financing options are usually available for those who are unable to afford the cost. Rhinoplasty should only be performed by a board certified facial plastic surgeon. This distinction means that the surgeon has undergone extensive training in facial plastic procedures, including nose surgery. The surgeon should have experience performing different types of rhinoplasty (primary, secondary, ethnic, etc.). There are a number of things you will need to do to prepare for rhinoplasty. If you are a smoker, you will need to quit well in advance of your procedure. You will need to educate yourself on what a rhinoplasty surgeon can and cannot do. You should also read up on the potential risks and the recovery process. In addition, you will need to purchase a number of items in preparation for your recovery, as well as arrange for a ride to and from the clinic. For more information on preparation, contact our clinic today. Complications from rhinoplasty are uncommon, but every patient will experience swelling in and around the nose, as well as some discomfort, which can be controlled with medications. Other potential complications include bleeding, infection, reaction to medications, excessive swelling, and issues relating to anesthesia. Every patient recovers differently from rhinoplasty. During recovery, you will need to follow your surgeon’s instructions to reduce postoperative swelling. You also may experience nausea and/or nasal stuffiness, both of which can be addressed with assistance from your doctor. During recovery you will also need to avoid vigorous activity. Rhinoplasty should not be performed on girls until they are about 15 years old, and boys until they are around 17 years of age. Prospective patients should not undergo nose surgery until their feet have stopped growing for a year. It is very important to avoid having rhinoplasty before you have stopped developing, as doing so may result in a nose that is out of proportion with the other facial features. For more information, contact our practice today. 9. How Young Is Too Young For Rhinoplasty Surgery? You not only can but should exercise before undergoing rhinoplasty, if possible. Patients who are in good shape tend to have better results in general, and are at risk for fewer postoperative complications. Exercising after rhinoplasty is another story. You will need to wait at least a couple of weeks while your body is recovering from the procedure, and will have to avoid contact sports (or anything that puts you at risk of bumping your nose) for a matter of months. Prior to your rhinoplasty surgery you can follow whatever skin care regimen you normally follow, but should avoid over-exfoliating or anything that compromises the durability of your skin. After the procedure there are a number of things you will need to do to take care of your skin and promote proper healing and good results. These include gently cleansing your skin with non-soap cleansers and/or gentle astringent pads; using hypoallergenic moisturizer without any fragrance; avoiding the sun at all costs, particularly during the first few days after surgery; using a sunscreen with a strong enough SPF to thoroughly protect your skin (30 or 40) but not so strong that it clogs your pores (above 40); patiently allowing your wounds to heal, without picking at the scabs or skin, which can lead to infection and scarring; and properly hydrating by consuming at least eight glasses of water every day. In the week after your rhinoplasty procedure you will need to avoid wearing makeup. After that, you can begin using it but will need to take certain precautions. For example, mineral-based makeup is gentler on the skin and provides good coverage. Green-based makeups tend to reduce the appearance of redness to give you a more natural skin tone. And cleansing on a regular basis is important; be sure to wash off all of your makeup at night. It is worth noting that the best rhinoplasty surgeons take precautions to minimize the bruising and other cosmetic aftereffects of rhinoplasty. Any bruising that remains can be disguised with powder that is about one shade darker than you normally use. All of this will depend on your skin tone and other factors, so make sure to discuss it with your rhinoplasty surgeon and/or dermatologist. You will need to sleep on your back for several weeks after rhinoplasty; do not sleep on your side. This will help you avoid bumping, bending or otherwise injuring your nose. Sleeping in a reclining chair is a good way to achieve this. Your head should be elevated during this part of the recovery period. For this reason, prior to your surgery it may be a good idea to purchase pillows that are specifically made to prop up the head. You can place pillows both under the head of and on top of your mattress. It also may be a good idea to sleep alone while recovering, to prevent inadvertently being bumped. Swelling is one of the primary aftereffects of undergoing rhinoplasty. All patients will experience some level of swelling in the weeks and months following their procedure, and in some patients swelling may persist for up to one year. This is why it is so important that you follow the preoperative instructions provided by your surgeon. The surgeon will most likely advise you to use cold compresses, and possibly prescription medication, to alleviate the swelling. Another remedy often recommended is arnica montana, which is a natural plant-based ointment that reduces swelling.